And even less to intake. Hope you have a great day, everyone. 1. Wash your mushrooms and remove the stems. 2. Chop up a green onion into tiny, tiny pieces. Add 1 T of the green onion to your cream cheese. 3. Add your 3 T of bacon. Throw in a tiny bit of freshly cracked pepper. Mix it all around to combine. I just used a fork…however had my hand mixer not died recently, I would have put it to work here. 4. Place your mushrooms on a sprayed cookie sheet. Fill the insides with your cream cheese mixture. 4. Sprinkle some Panko bread crumbs on top. You can find these at any grocery store. Press the bread crumbs into the cream cheese so they will stick. 5. Bake at 400 for 15 -20 minutes. Eat nice and hot from the oven. They cool down very quickly and aren’t quite as tasty eaten cold. 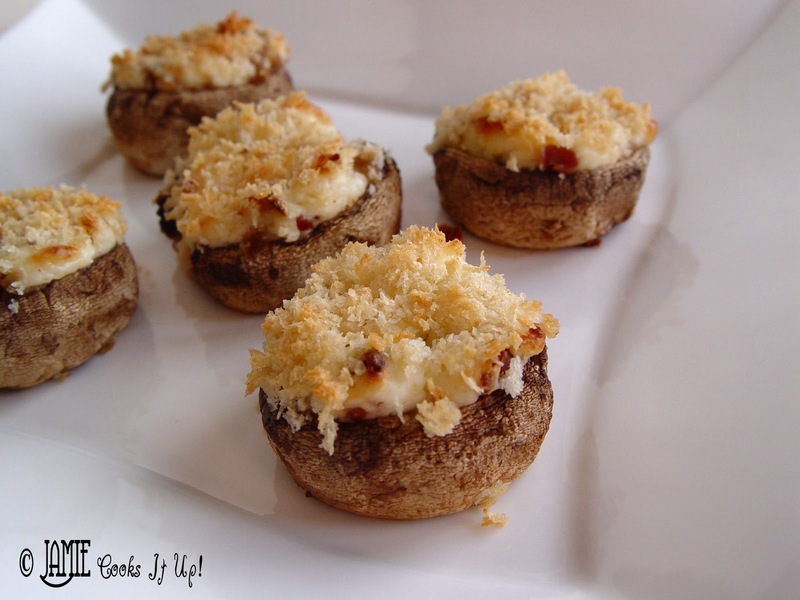 I think I could eat an entire tray of stuffed mushrooms in one sitting! They are my favourite, and so easy to make! Oh man, I think I'm going to have to try these. Now I know what I am eating next week while the mushroom hating husband is out of town! Yum! Thanks for sharing the recipe! In the oven now….filling was super yum! 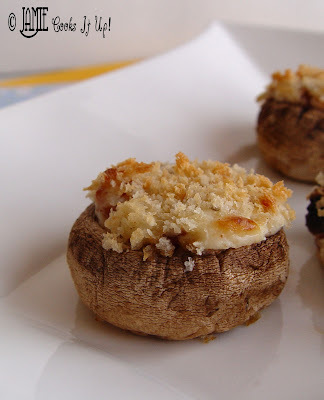 I love mushrooms nad this one would be a great dish for this coming Valentines. So easy to make and delectably satisfying. Bookmarked. wow, this looks fantastic and I can’t wait to try it!